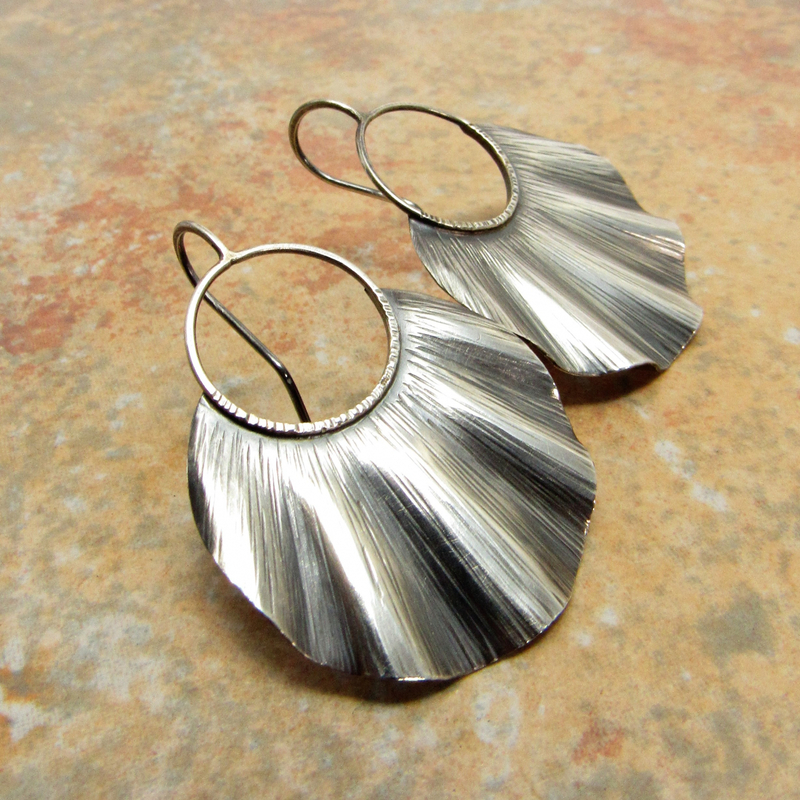 A perfect pair of statement earrings in argentium sterling silver with a very unique ruffled design. They have a stationary ear wire that holds them close to your face which is very flattering. Although modestly large they are lightweight and a pleasure to wear. 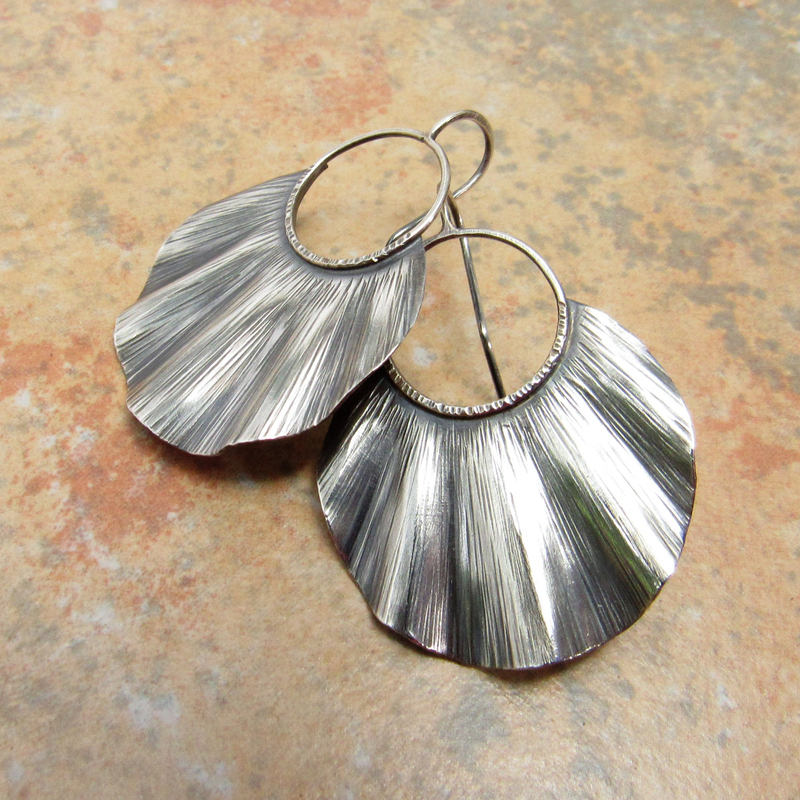 Crafted from the finest argentium sterling silver with distinctive tooling and finally a ruffling for a feminine touch. 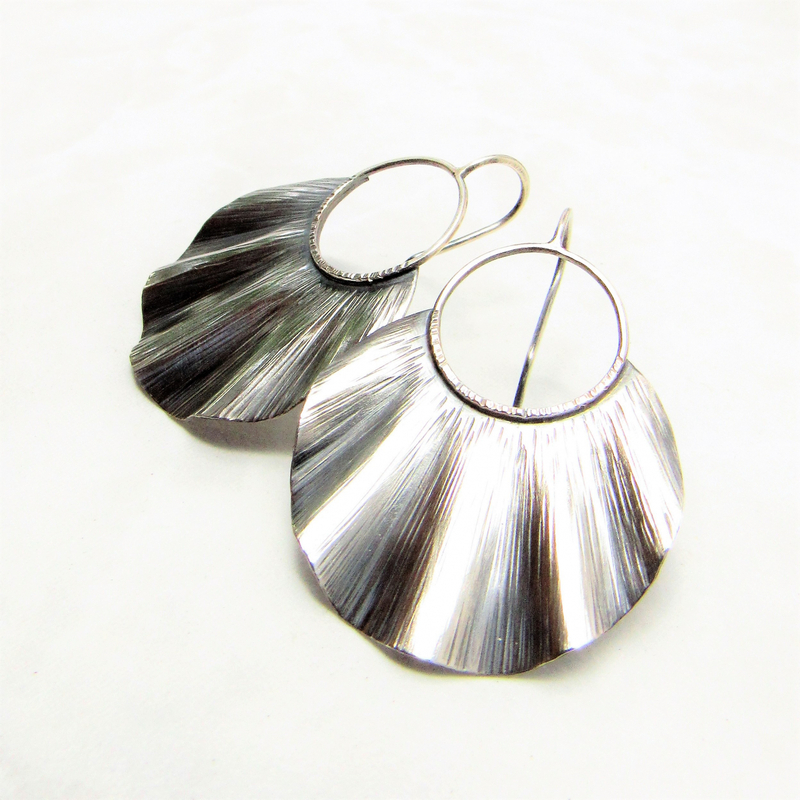 They have a thoroughly modern appeal but unusual enough to add a bit of bohemian flavor to whatever you pair them. Lovely for any occasion. 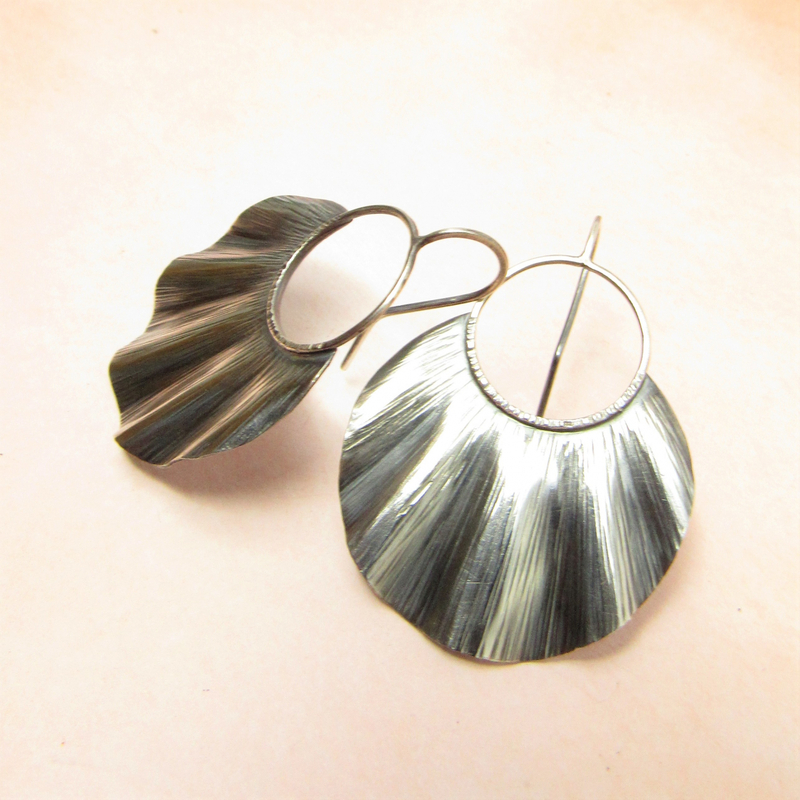 Oxidized and polished to finish. 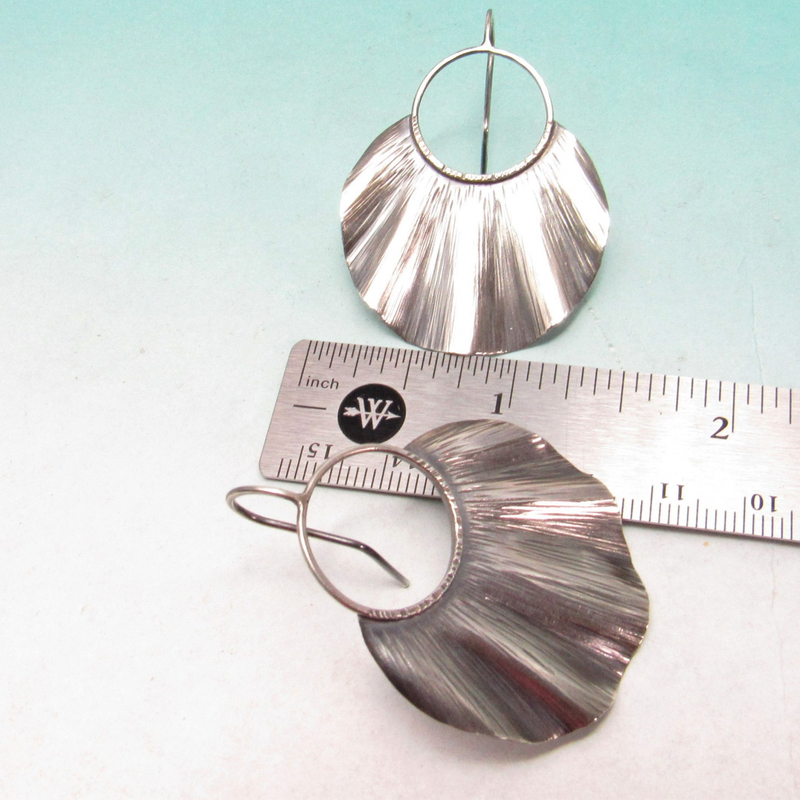 Finished with 18 gauge ear wires which are a tad thicker standard 20 gauge and are best suited for those accustomed to wearing earrings. Very lightweight at apx. 3 grams each earring.